ChemDesign, a sponsor and exhibitor, will have representatives specializing in logistics, materials management, safety, compliance and commercial development available to evaluate client needs. The team will be conveniently located in the first row (#201) for the full duration of the conference. The event, focused on showcasing the distinctive value of the American chemical industry, will be the first for Wendy Swanson, materials manager and Kevin Possi, production manager. Joining them will be David Mielke, President and CEO, Joel Salzman, Vice President of Operations, Rae Johnson, Vice President – Sales and Marketing and Bryon Leggett, Vice President – Business Development. Kevin Possi will participate in a panel discussion, Emerging Leaders’ Outlook on the Future of Specialties. He will be joined by: R.J. Wolcik, Director, EH&S, Strem Chemicals, Brooke DiDomenico, Technical Manager, Nation Ford Chemical, and Austin Hutchinson, Business Development Manager GFS Chemicals. Wendy Swanson will be meeting with ChemDesign’s existing suppliers and potential new suppliers. “As we grow with new markets and customers, it’s important to realign our supply chain to better serve our customers. Wendy and her network of suppliers are critical to ChemDesign remaining a reliable and cost-effective service provider,” states Bryon Leggett. Click here for the full conference schedule. ChemDesign will provide industry updates from their Twitter account, @chem_design, during the conference. Sylvia Sartorelli competed her 2018 quality analyst internship working the night shift in the Quality Control Laboratory at ChemDesign. A full-time student studying occupational therapy at Central Michigan University, she came into her position with laboratory experience (she had worked the day shift at ChemDesign the previous summer). Sylvia took inventory of her strengths before her summer working the night shifts began. She knew her most productive work time was in the evening. Her self-awareness of her peak productivity time actually has a biological component as well (the normal daily body temperature is at its highest at that time). She knew she’d be most alert during her night shift. As it turned out, the night shift was the “most comfortable” for Sylvia. She liked starting on a Sunday night and finishing by Friday morning. This schedule made it possible for her to pick up two or three shifts a week at a popular restaurant in the Marinette region, The Landing. She was also able to spend time with her family and her youngest brother. Sylvia also preferred working alongside one other technician for each shift. The quiet evening work environment with an occasional surprise visitor (a night frog) was the right fit for her. As Sylvia reflects on her experience, she feels beyond blessed to have been immersed in such a special environment. She’s already put in a request for consideration for a summer 2019 internship (during the night shift). ChemDesign has opportunities for internships during the day and evening shifts. Submit your application online on our website. Katelynn Bayer started her role assisting the chemical operator teams in building 38 just over a month ago. 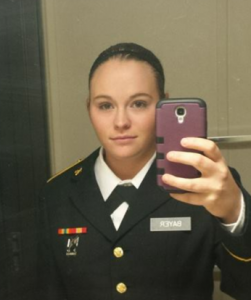 She’s experiencing her first full-time position as civilian after serving nearly four years in the Army. Hearing stories from her family about her Grandfather, who served in the Navy during World War II, solidified her decision to start basic training right after high school. 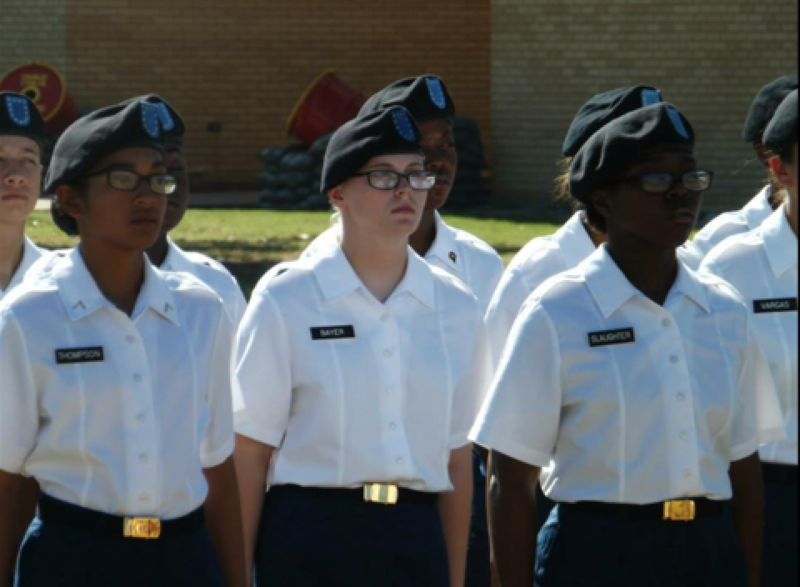 Katelynn, who has an aptitude for mechanics, was responsible for maintaining equipment. 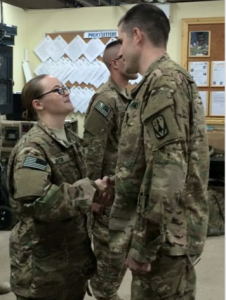 While she was deployed overseas in Kuwait, she thrived in a leadership role in their human resources department. She uses many skills from her military experience daily, including multitasking, providing support for the chemical technicians and meticulously attending to the scrubber in the building. Katelynn sees additional similarities between the Army and ChemDesign: the necessity for everyone to work together to make sure everything runs smoothly. 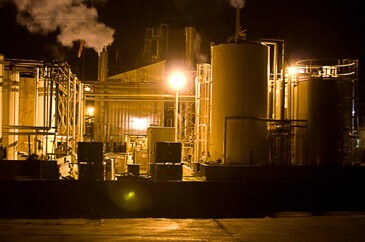 Chemical production campaigns depend on a unified effort of the crew to keep projects moving forward and finished on time. For Katelynn, being an employee at ChemDesign stands out as a nice place to work with good employee benefits. ChemDesign is proud to employ several veterans. We thank them all for their service. 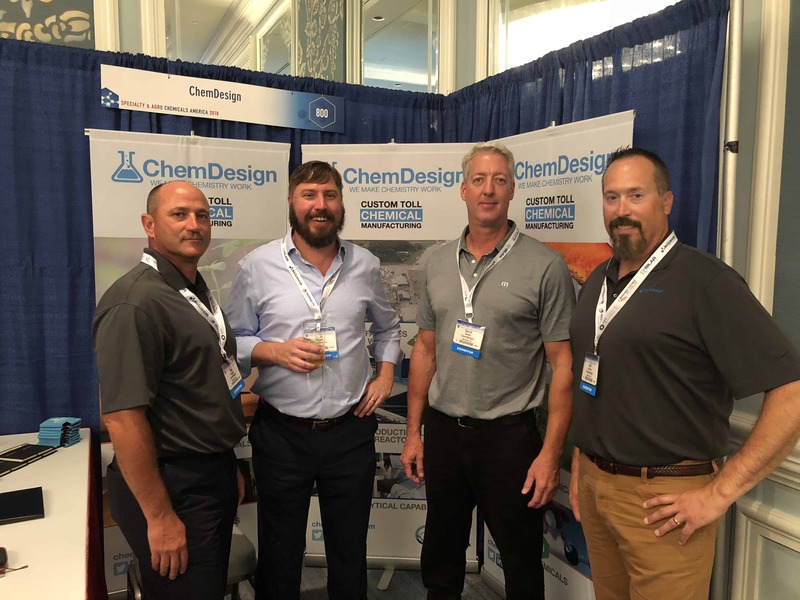 ChemDesign representatives will be attending the Specialty and Agro Chemicals America Show in Charleston, South Carolina from September 5-7, 2018 (Booth 800). ChemDesign has supported the tradeshow since its inception. The event focuses on chemical manufacturing, technologies, and related services that have specific applications for the agrochemical and specialty chemical markets. For attendees, Specialty & Agro Chemicals America offers valuable research and networking opportunities that enables participants to remain current with the latest chemical manufacturing trends. 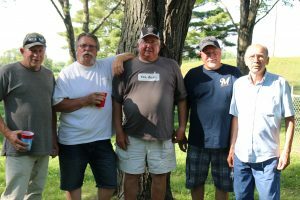 The annual ChemDesign Steak Fry, held at City Park in Marinette in late June, has become a tradition for our company spanning more than 30 years. If you have experienced our flagship summer event (or if you plan to join us next year) there are a few distinctions you may enjoy reading about that makes our event unique. How did our event become known as a “Steak Fry”? Since the beginning, our tasty steaks have been grilled. 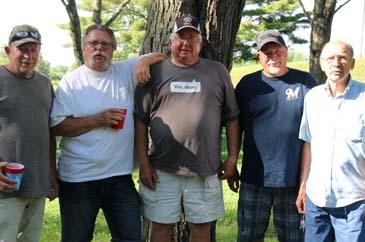 The name “steak fry” is a Midwestern colloquialism for beef grill-out events like ours. At ChemDesign, we like to do a steak fry right. We take pride in procuring the best cuts of beef in our area. Our social committee places a large order from Gary’s Quality Foods in Wallace, Michigan . The steaks are about 1.5 inches thick, which is the size you’ll find from the best butchers. The steak excellence happens when each person is given the opportunity to grill their own! Our team gets the coals nice and hot. Everyone picks a perfect cut of meat and finds a spot on the grill. Once the cut of meat is done, we offer a condiment bar, including traditional A1 steak sauce, as well as mushrooms and onions. What were the event highlights for 2018? As an electrician, Bob took pride in continuously educating himself in the ever-changing field of electrical technology. Not only was Bob a great electrician for ChemDesign, helped change our technologies. He took us from wind up chart records to state-of-the-art DAQ stations; from stick measuring tanks to radar gauges with remote readouts; from scale weighing to mass flow meters. For his contributions, our team thought it was fitting to provide him with one of the best Lowrance fish finders on the market to help him enjoy his time on the water even more than he already does. At ChemDesign, it’s become a tradition to conclude our events with prize drawings. Yes, we do have can koozies, but we up the ante a bit for our main prize drawings. At the Steak Fry, we gave away several nice coolers, as well as a Johnsonville Electric Grill. As the 2018 event came to an end, we had the retirees in attendance gather to take a group photo. As our retiree group continues to grow, this event will continue to be essential in bringing everyone together for a good time with even better company. Thank you to those who took time to join us this year. I am already looking forward to our 2019 event. Have you thanked your local high school business education teacher lately? These unsung heroes of our public education system are responsible for implementing the Academic and Career Planning (ACP) model created by the Wisconsin Department of Public Instruction. The program’s mission is to empower all students to travel the road to adulthood through education and training to careers. Business education teachers are role models, counselors and advisors. In one meeting, they may be helping a student with their behavioral and employability skill preparation. An hour later, they are discussing career planning with a student who wants to complete a job shadow to explore careers in chemistry. Laura Scott is responsible for the ACP program at Iola-Scandinavia High School, a rural public school located in central Wisconsin with an enrollment of 329 in grades 7-12. Two months ago, she was introduced to our company, ChemDesign, by a sophomore student interested in chemistry and engineering, Grace Harbridge. Grace (pictured with her physics teac her, Todd Snyder) had done some online research of her own and came across our blog post highlighting the chemistry job shadow experience of a Crivitz High School Student, David Neering. 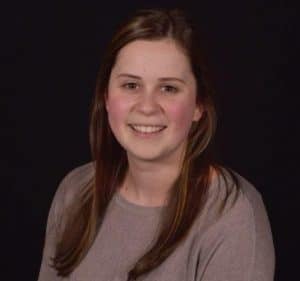 She identified with David’s experience growing up in a rural community with aspirations of being accepted to a nationally-recognized University to study chemistry. Grace told Laura of her desire to tour the ChemDesign campus, located two hours northeast of her hometown. 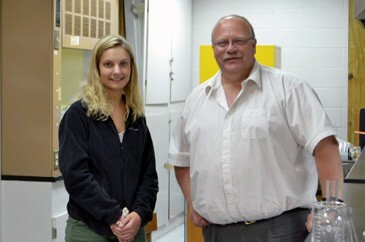 Within two weeks of her first contact with us, Grace was visiting the ChemDesign campus. She spent her morning in our laboratories. She talked with Roman Leiser, a process chemist, while he was analyzing results on a chemical with light sensitive properties. Alison Cox, a QA analyst, showed her the process for testing samples from the plant. While Alison added a chemical to a sample, the substance turned from purple to pink. After a catered lunch, Grace spent her afternoon with the engineers. Bob Martens showed her the designs and proposals for adding a new reactor to a production unit. She was intrigued as he described taking off the roof of the facility to make sure the reactor would fit. She was also able to join him in the plant while he did an inspection. With her valuable job shadow experience completed with ChemDesign, Grace has become more interested in chemical engineering. This fall as a junior, she will take advanced science courses on the UW Stevens Point campus, located about 25 minutes from Iola. Her dream is to attend North Carolina State or the University of Wisconsin. Our team enjoyed hosting Grace for a day on our campus and wish her success in pursuing a career in chemistry. With each job shadow experience, we are developing connections across our state for students who desire to see firsthand how we make chemistry work. Lauren Anderson, who started her career with ChemDesign as an analyst in the quality control laboratory, has been promoted to the position of R&D Analyst. In her new role, she is responsible for interpreting technical packages for customers, which includes a procedure or plan to create the desired material to specification. 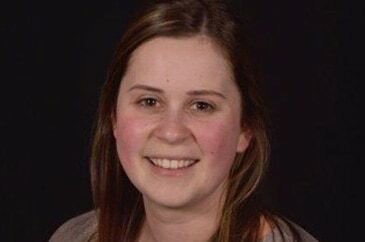 Lauren’s experience using gas and liquid chromatography, as well as other laboratory equipment, will be valuable in testing the reactions she is responsible for scaling up to production. 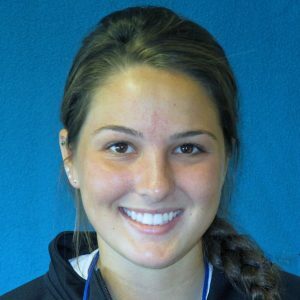 Lauren earned a Bachelor of Science Degree in human biology with a minor in chemistry from UW Green Bay. She gained applied chemistry experience as a research assistant for Dr. Julie Wondergem. She also worked as an Associate Lecturer in their chemistry department. ChemDesign representatives in research and commercial development will participate in the Informex Fine & Specialty Chemicals Zone, to be held as part of the CPhI North America Pharma conference. The event, which has historically attracted over 7300 attendees, will be held April 24-26, 2018 at the Pennsylvania Convention Center in Philadelphia. InformEx Zone focuses on innovation in specialty chemicals and the supply chain. It provides an opportunity for suppliers to connect with a broad spectrum of end use applications. The organizers describe the event as a marketplace designed to foster indispensable micro-communities where people of like interest can connect, learn, inspire, and become plugged into the centers of both the high-value chemical and pharma industries. 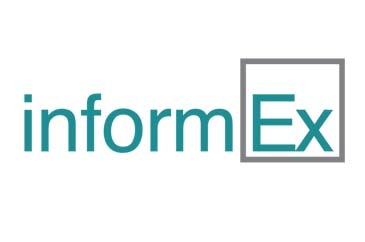 InformEx Zone is poised to attract attendees responsible global sourcing who are looking to ignite breakthrough ideas and drive businesses growth. ChemDesign will be hosting meetings throughout the event and sharing updates using the event hashtag #CPhINorthAmerica on their LinkedIN page and Twitter feed. We hope to see you in Philly in April! 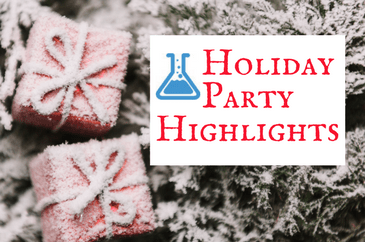 It’s been a tradition at ChemDesign to plan a holiday social and celebration after our team members have had the opportunity to enjoy their own family gatherings. On January 20th, over 160 employees and guests came together for an evening of fine food and company at Little River Country Club. Following the delicious meal including salmon, chicken, and tenderloin tips, prize drawings were held for the main gift giveaways. This year, employees entered raffle tickets to win one of two LED televisions. Dennis left with the 65-inch LED TV and Tina took home the 50-inch. 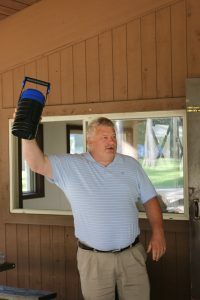 Several other employees left with items for recreation. Tom was excited to win a kayak and plans to use it to spend time on the water with his grandchildren. While Ali had her heart set on the Nintendo Switch, she was very happy when her friend Christine won it. Event attendees are also predicting that Karl will be using his JBL Extreme Bluetooth speaker to listen to his favorite tunes before work. An employee gathering would not be complete without the chance to win a trip. Ben will be taking his family and a few friends to enjoy a chartered fishing trip on Lake Michigan. Ben and his father both work at ChemDesign and every year they pool together all of their raffle tickets to increase their odds of winning this gift. This year, their strategy paid off! We also do not want to forget about those who like to pamper themselves! Brad and Erica both won $150 spa packages to Elements Spa in Menominee. Erica won this package last year and loved it – so she was thrilled to win it again. Brad seemed a little surprised when his name was called as a winner, but deep down, we all know he is a gentle giant that likes the finer things in life. Tony told us he loves to cook steak on his patio, so his new Weber gas grill will be put to good use. Speaking of food, Jeff has changed his life with healthy eating habits. His new air fryer, pressure cooker, and ceramic cookware will help him explore new healthy cooking options. Finally, there were great prizes for people who relaxing at home. Jordan just moved into a new house so he was thrilled to win the $500 furniture package. Gretchen, Tina, and Chelsea all won oversized zero gravity chairs! After all the time the social committee dedicated to planning this year’s holiday party, they were happy to see so many people attend. The social committee is busy working on our next event. If you have any ideas for consideration, please let one of the members know! At ChemDesign, we define multi-purpose chemical processing as providing support at all stages from development to production. In partnership with our customers, we provide a complete turn-key custom chemical solutions from one campus in Marinette, Wisconsin. The design of our unit operations can be easily re-configured to accommodate a wide variety of chemical processes and quantities. Are you looking for a custom chemical manufacturer who can easily separate and link processes? Not an issue on our campus. Our clients count on our flexible and redundant assets. When you ask a member of our team about our point of difference, they will describe it as multi-step unit operations. In this article, we provide a description of our 3 separate buildings with a list of our redundant reaction capabilities. On our campus, we have three distinct multi-purpose fine and specialty chemical manufacturing areas: Buildings 52, 38 and 69 with 36,000/23,000/12,000 gallons of reactor capacity. Our manufacturing areas consist of 8/8/7 glass-lined reactors, 4/6/1 316 stainless steel, and 3/1/1 Hastelloy (Monel) reactors. Reactors range in size from 500 to 6,000 gallons, with a temperature operating range of -7 to 150C. Fractional Distillation columns and Solids Isolation devices are available on the same campus! FreeRadical Polymerizations: Chain growth polymerization through free radical initiation and propagation. Titanium Tetrachloride Chemistry: Chemdesign has utilized TiCl4 as a reagent to manufacture polymerization catalysts, and as a lewis acid catalyst to induce rearrangement/isomerization such Fries rearrangements. Our flexible manufacturing facilities and deep experience with reactions provides our clients with the custom chemicals solutions they need, speed to market and peace of mind. 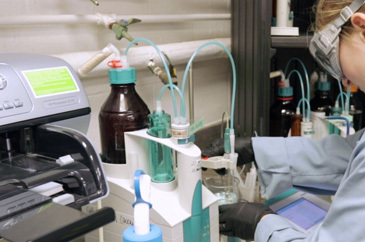 Do you have a multi-step chemical processing need? Get in touch with us by using our convenient online form. 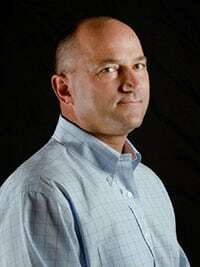 About the author: Rae Johnson has led the sales efforts of ChemDesign since 2004. He has over 10 years of experience in the business development arena of the chemical industry, working for Hickson-DanChem, Brenntag and Ruetgers before joining ChemDesign. Rae is focused on developing chemical toll manufacturing relationships and is an active member of SOCMA and the Global Chemicals Executives.